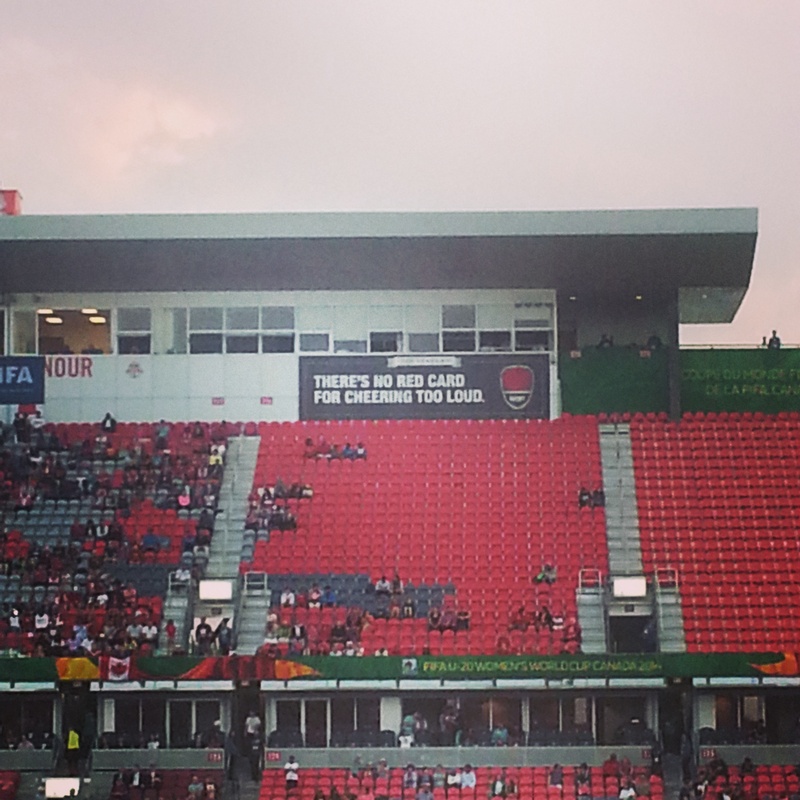 womenforfootball.com – As indicated here, I booked my ticket and with lots of excitement headed to National soccer stadium(BMO Field) to watch Canada-Ghana match. 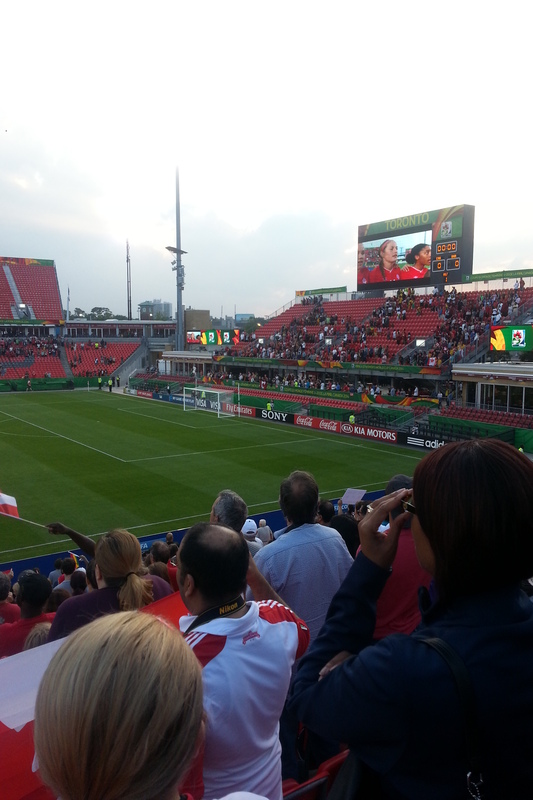 The atmosphere was great: Based on Stadium announcement, there were over 14,000 spectators. 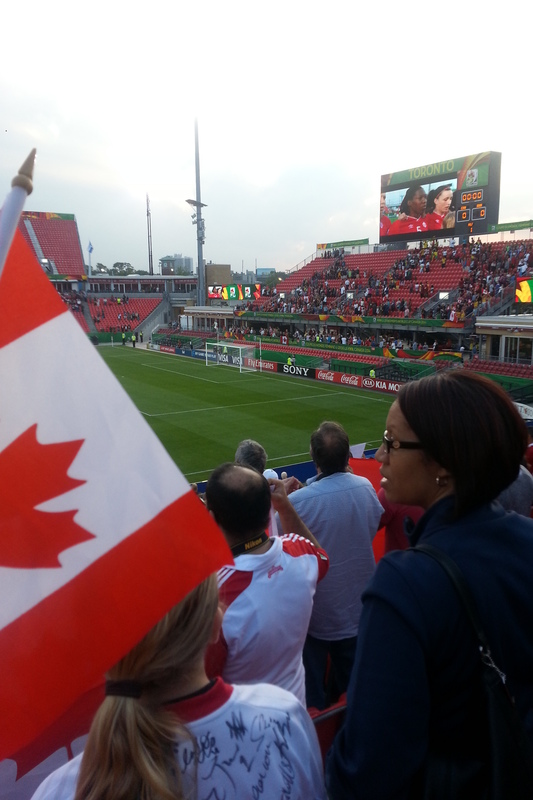 Obviously mostly were Canadian fans and surprisingly I saw many Canadian guys too coming with their guy friends and watching our women U-20 team; Which was a great supportive scene to watch. 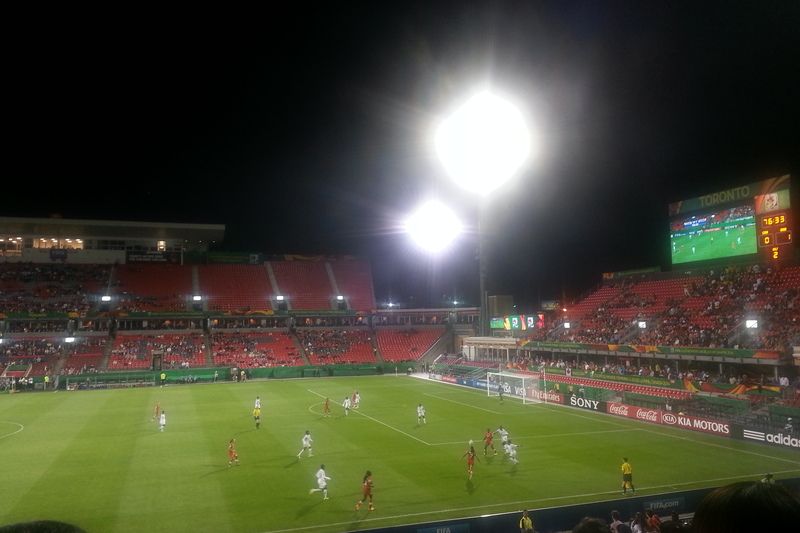 Ghanaian fans too were as loud and cheerful as possible, all along celebrating their 1-0 lead. About the game itself, Canada U-20 team was playing cohesively in the first 15 minutes of the match, but defensive errors were obvious. And after Ghana scored the goal, Canada tried to attack on numerous occasions, specially in the Second half, but lucky was not on their side, and many times they would compromise their defense at the back to be able to attack. 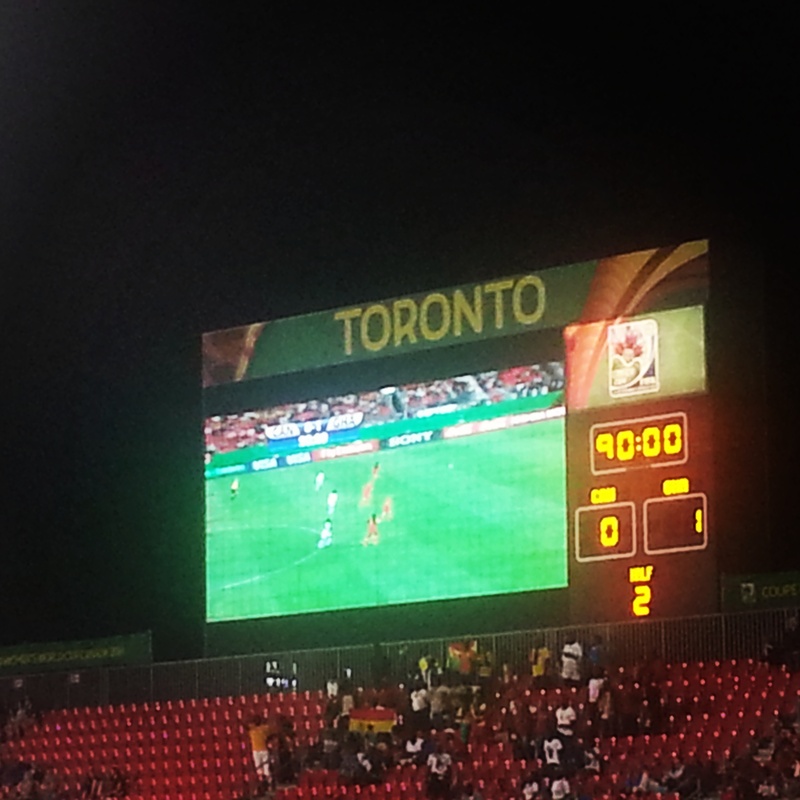 Overall, Ghana’s team balance and transition was much more superior to Canada, in my opinion. Canada’s Number 2, Yekka, and Number 5, Buchanan were superb though with their tackling but it takes the whole team and lots of luck to win a match. So far, with that 1-0 loss to Ghana, and DPR Korea’s win over Finland, DPR Korea is leading the table, followed by Ghana, and Canada is sadly at the bottom of the table. I really hope Canada bounce back in the next fixtures against Finland and DPR Korea, so that at least they can qualify to the knockout stage. For that, they need to finish among top 2 teams of the Group in terms of points.